Sometimes, even the best laid plans can go awry. This could be applied to estate planning as well. Therefore, Nevada residents need to make sure that their wills and trusts work together and complement each other. When Nevada residents have living trusts, they are often meticulous about making sure that the assets they have when the trust is created are put into the trust. However, as life moves forward, other assets could be purchased. 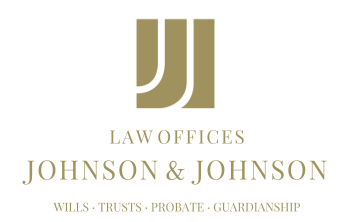 If those assets are not put into the trust, they could become subject to probate. Therefore, it would be advantageous to have what is called a pour-over will. This type of will stipulates that any assets that are owned by the individual at time of death are distributed to the trust. Once the assets are transferred into the trust, they become subject to its provisions regarding their distribution. The assets are also then protected by the provisions of the trust just as are the assets that were in the trust at the time of death. No one knows when they will pass away, and even if an individual is diligent about putting newly acquired assets into the living trust, something could be missed. Therefore, Nevada residents might need to be sure that their wills and trusts provide for the possibility that some assets did not make it into the trust before death. However, there are numerous other considerations that need to be discussed and vetted in order to ensure that the estate plan meets all of a person’s goals.